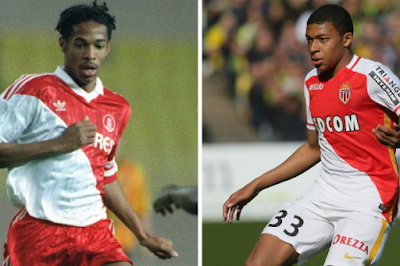 After a quiet January transfer window, Arsenal are expected to be busy in the summer. 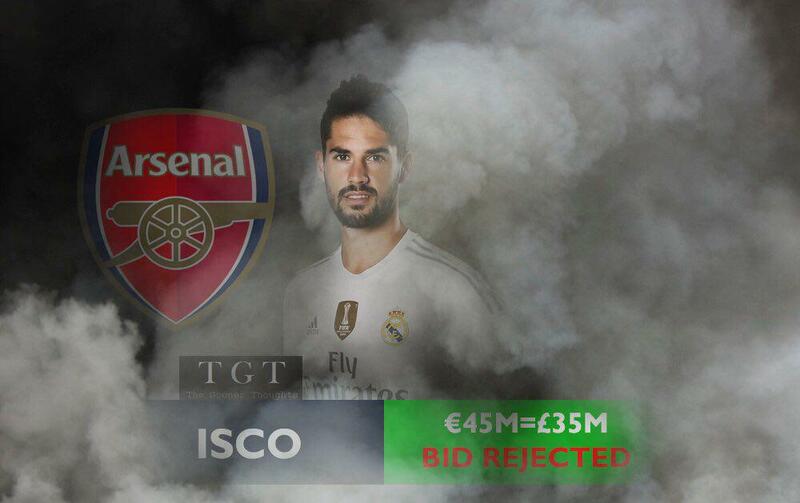 Arsène Wenger has shown interest in Real Madrid's Isco and even made a bid for him in January. TGT understands the gunners have had a 45 million bid rejected. 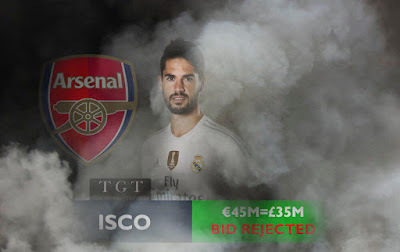 The main reason behind the bid being rejected as we understand is Zidane having Isco in his plans. The Real Madrid manager is interested in keeping Isco at the club till summer at least. Arsenal's current situation will force them into the market and make some significant signings. Ramsey is still not convincing, Wilshere is struggling with injuries while Rosicky seems to have played his last game for Arsenal. Arsène Wenger likes to have options in the midfield and the current squad situation reflects the need of reinforcements in the summer to compete against Manchester City, Manchester United and Chelsea. Isco has had a relatively quiet season scoring 3 goals from 18 appearances but the Spanish international is an intelligent player. He won the Champions League with Madrid in 2013-14 and was also awarded La Liga Breakthrough Player in 2012.